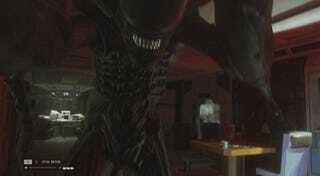 Alien: Isolation isn't exactly a "fun" game to play. It's super stressful and really difficult. It's definitely fun to watch other people play it, however. Once this game is out, I sense there will be a lot of good times to be had watching people hide, flee, and panic as they attempt to survive. In the meantime, a few notable folks on YouTube who got early copies have shot some enjoyable videos of themselves playing. If you're curious how the game holds together, I reviewed it. (Short version: Very cool, extremely stressful, has some issues, not for everyone.) But if you'd like to see how the whole "Hide from an alien until it eventually kills you" thing plays out in action, these videos are a good start. Worth noting: these videos spoil some early parts of the game, so if you want it to be as scary and surprising as possible, you might want to skip them. Mr. DiePie has been sharing a complete playthrough of the game as well, though he hasn't gotten up to the really good stuff yet. Isolation comes out at midnight tonight, and I'm sure that as the week progresses we'll see many more videos of freaked out people being mauled by Xenomorphs. To those about to be hunted: Good luck, and don't be afraid to share. In space, everyone can watch your stream.